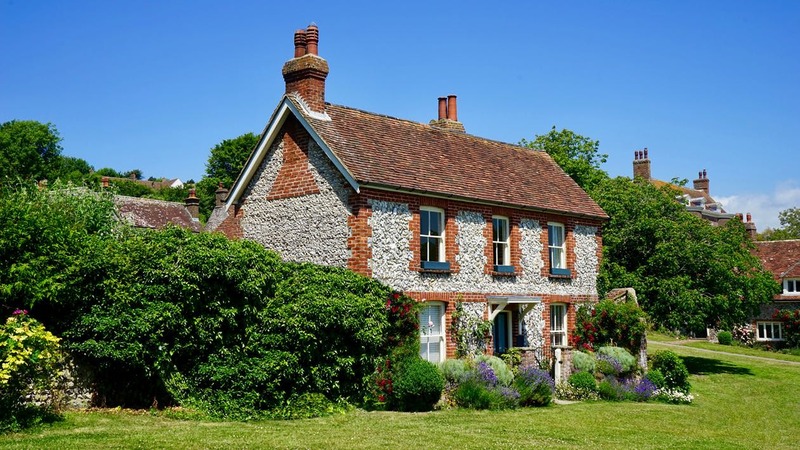 Connect home to garden with our beautiful UPVC French doors. Advanced Exterior Plastics provide quality French doors in Southampton and the Hampshire area, offering quality installations by our expert craftsmen. After that touch of continental flair? Open up your home and enjoy an abundance of light with our stylish UPVC French doors. Manufactured to high specifications, our French doors provide exceptional security and efficiency. UPVC French doors are a great way to connect rooms within your property. Whether you are looking to open up a room into a conservatory , terrace, balcony, extension or just your patio, French doors offer the ideal solution. Classic and elegant, our UPVC French doors are an excellent way to enhance your aesthetics. A seamless addition, these doors present an opportunity to open up your home to an abundance of light and space. 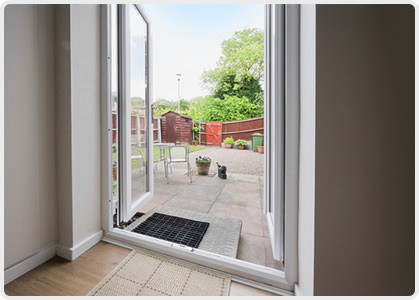 Our French doors also come with a dedicated one piece double door adaptor. Our Duraflex UPVC French doors are equipped with a high performance Q-Lon gasket in all main frame sections. This sheathed composite gasket offers high a weather performance and has excellent acoustic properties which is backed by a lifetime guarantee. 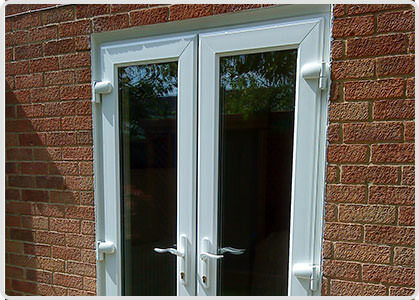 Available to achieve Secured By Design status, our secure UPVC French doors come equipped with highly secure hardware. The Duraflex UPVC French doors comes with a multi-point locking system along with pencil, rebate and flag hinge options. Slave door locks are also available to include a shootbolt locking system activated by either central handle or top and bottom finger bolts. All of our door locks are ]designed by industry leaders Ultion. 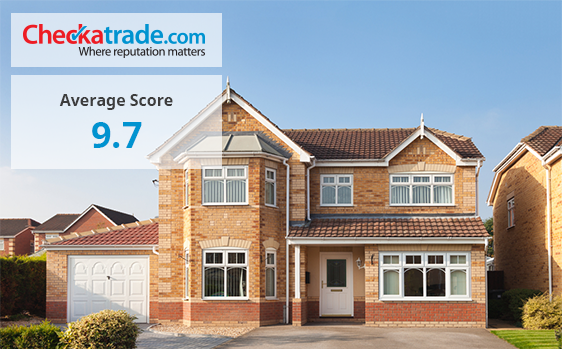 100% lead free, our UPVC French doors are manufactured from organic raw materials. When you purchase a Duraflex French door you know you are buying an environmentally friendly product. Not only are our eco-friendly French doors made from ground-breaking materials but they are also energy efficient too. Our industry leading UPVC French doors are designed to help lower your carbon emissions and reduce the heat loss within your home. 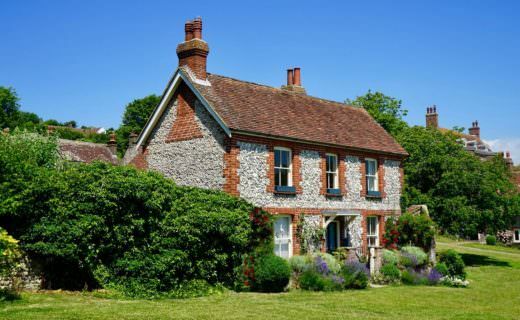 Create the perfect look for your home with addition of glazing, handles and finishes. All our French doors are available in a beautiful and stylish range of accessories and colours in order for you to achieve a complementary match. Our stylish colours and finishes are available in brilliant warm white profiles or in bevelled and featured options. The choice is yours. We have a wide range of on trend colours as well as authentic woodgrain finishes for those after a more classic look. Looking for French doors in Southampton and want an instant price? Our online door cost calculator will provide you with free online French door prices. 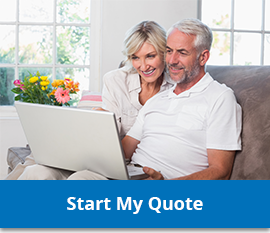 Simply start your free quote today to receive a unique cost within minutes.